Over 20 years ago I received a flyer in the mail. On it in big bold letters it said “Make $10,000 a Month for the Rest of Your Life!” That sounded really great back then and it still sounds really good today. I attended a free two hour workshop that explained in general how the business worked and showed me the potential of the note business (then referred to as the Cash Flow Industry). I was extremely excited about the prospect of working from home and having control over my life. At that point if I wanted to learn the business I was invited to a 5 Day Boot Camp. No question about it, I definitely wanted to do this business. I paid my tuition and the next week spent five days learning about seller the seller financed note business. When the five days were over I got a thank you very much, a pat on the back, was wished the best of luck and I was off and running. Working part-time at first, with little to no support and no investors to sell notes to I spent the first eight months after the class looking for a funding source that would be willing to work with me. I finally found an investor that was willing to work with me and soon after did my first transaction, nine months after completing the course. Still working full time at my night job at the grocery store, I would put my daytime efforts into my business. After many obstacles and hurdles, countless testing and many trials and errors I finally was able to quit my night job at Ralph’s nineteen months from the time I started my business. There were no people I could contact for assistance or to ask questions, no master buyers/brokers, no mentors or coaches. There were no websites (the internet was just starting up), no documents on a disc and definitely no list of investors. I learned mostly through the school of hard knocks and put an enormous amount of time and effort into making the note business work for me because I knew deep down that I could do it and that the business itself was solid. Jump forward now to the present, December 2011, what has changed in our industry in the last twenty-plus years? Well, you probably did not get a flyer in the mail or see an ad in the paper rather you might have taken a class or workshop from some industry professionals that helped introduce you to the business. There it was hopefully explained to you that the seller financed note business isn’t easy but the process is fairly simple to keep your business thriving. In addition to showing you the note business you most likely were given access to at least one person that you can contact to answer your questions and help you get your note business off the ground. That same person would have all of the contacts that you need including a list of investors and a team of people to help get you over the first deal hump. Best case scenario whomever taught you the business and presented the materials and disseminated the information to you are individuals that are actually in the note business and have a vested interest in your success. In addition, in today’s note business there are a multitude of tools to ensure the success of people in the business and make us more efficient if the individual puts forth the effort to make their business a success. 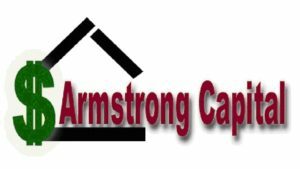 Let’s start with Armstrong Capital’s Note-able Newsletters with content rich articles written by a current practitioner in the business. I truly wonder how many people actually take the time to read through the entire publication every month. If you want to be up to date with what’s actually happening in the industry, rather than listening to hear say or gossip it is worth reading through this resource every month. One huge difference today as compared to years ago is computers and especially the internet. As a tool for your business a computer is probably the biggest. I spend more time today on my computer than I ever have in the past. My computer and the software programs that go a long with it like Word and Excel makes me more efficient and I am able to do more as a one man operation that I have ever been able to do before. As far as the internet goes, do you know of any businesses today that does not use the internet in some way shape or form? In the note business the internet has proven to be an incredible resource for investigating a note and doing our due diligence before we purchase the note. The internet makes us more efficient and better able to determine the viability of a transaction faster than ever before. In addition as part of the internet, do you know of any successful businesses today that does not have a website? Having a presence on the internet in the form of a website is a mandatory part of any successful note business’s marketing plan. And to go even further with the internet as a tool, many successful note brokers today use the internet as a marketing method and have figured out how to market their note business successfully on the internet. The internet is now a part of almost every successful note business’s marketing plan. Because of the computer and the internet note businesses across the country are more efficient and streamlined than ever before. I remember way back in 1991 it would take a good 6-8 weeks to close a note transaction. But today a normal note transaction can be closed in 3-4 weeks if there are no hurdles or surprises, all because of computers and the internet. If you are one of the individuals that has taken a course in the last several years the note business is basically handed to you. All you need to do is to have the desire to make it work and put in the time and effort necessary to make your business a success. With all of the advantages given to individuals entering the note business today you are given a much better chance of success than people in the past. Put all of these advantages to work for you, don’t give up, be persistent and eventually you will be successful. Times change and the note business, like any other business, goes up and down in waves. Some individuals hop on the bandwagon when the note business is good and then go away when things start looking bad while others are in it for the long haul, thriving and surviving year after year. Admittedly, as most of us know, this is a tough time in the note industry. For me this year has actually been better than the last 2 years in terms of numbers of deals closed and dollar volume and I have heard that from a number of other individuals in the industry as well. Things are picking up but slowly. The real estate market downturn may take another turn down before it goes back up. The economy may follow. Interest rates may go lower and then rise quickly. No one can predict for sure what is going to happen in the next few months or years. What we do know is that more seller financed notes are being created now than have been in the last ten or more years. Can you say opportunity?